darkSpyro - Spyro and Skylanders Forum - Spyro: Shadow Legacy - Legacy of Shadows! darkSpyro - Spyro and Skylanders Forum > Spyro: Shadow Legacy > Legacy of Shadows! I just got this game the day after Christmas last year and I'm yet to play it! This is a good game, right? Don't tell me I got it to hate it! I know it will probably be a lot like A Hero's Tail knowing that it was the game right after wards. So I was just curious to know, thanks for your answers! It's actually a lot more like LoS than AHT. I thought it was cute and fun. It's a short, simple game with not much to it, but I spent an enjoyable week getting everything in it. It's an enjoyable game but not my favourite. Usually the best games are worthy to be my favourite games. Um... you save your friends from the Shadow Realm (the music still gives me the heebie-jeebies) and there are some spells you can use at your disposal. 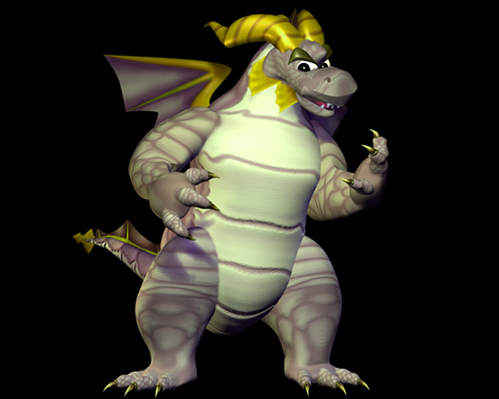 Since Bianca didn't appear in Spyro: A Hero's Tail, she appears in this game instead. A lot of characters from Spyro: A Hero's Tail returns in this. However, just like the game before this, you can't travel via portals anymore. The main worlds you travel through are: Dragon Realms, Avalar and Forgotten Worlds. Yep, the worlds from the first three Spyro games. Speaking of them, there are many references from Spyro the Dragon, Spyro 2: Gateway To Glimmer and Spyro 3: Year of the Dragon in this game. I already finished this but I can't be bothered to level Spyro up anymore. It continues after Hero's Tail and Red is in it and a new bad guy, the sorcerer !!! is a good guy this time. Yeah and he teaches a great trick to defeat the . I think it is the Banish spell. Yeah it is and you have to draw an 'X' to use the spell. I'm gonna play this game right now!